Every time you create an advanced Twitter search on Chorus you can save it. No need to lose track of what’s being said. 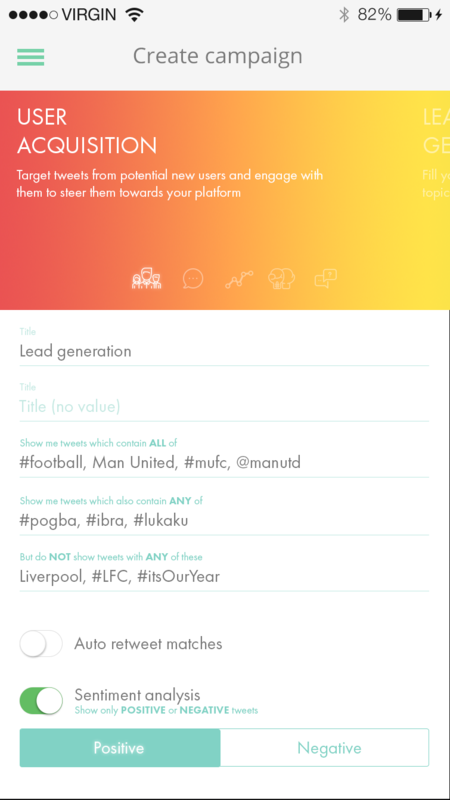 We keep all Tweets which match your criteria in a ‘Twitter Inbox’. You respond to the tweets when you have time. You can reply, quote, retweet, auto-retweet and like Tweets from inside the Chorus app. I run a small business myself. We use twitter to engage with new users and grow our audience but we can't afford to hire someone who is dedicated to social media. 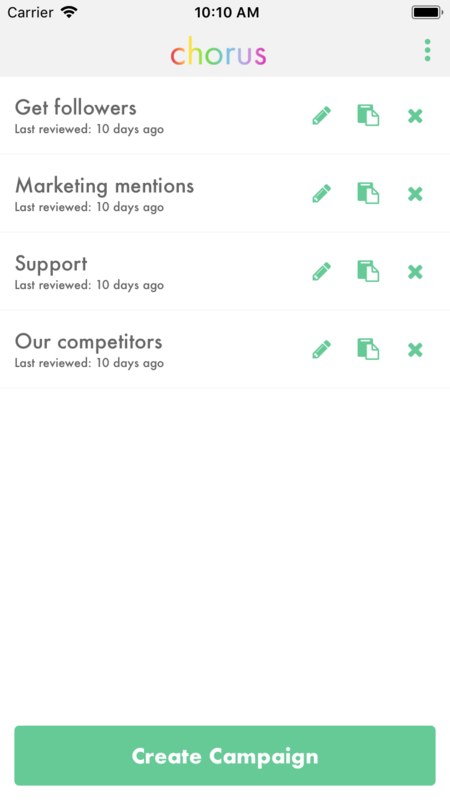 I wanted to create an app that allowed me manage our social media engagement whenever it works for my schedule . Using Chorus, I can create campaigns around the topics important to my business, quickly engage with the right people and grow my business, during my commute, on my lunch break or just in front of the TV.